Do you always feel lethargic or experiencing low energy level? Are you feeling bloated or suffering from issues like indigestion, IBS (Irritable Bowel Syndrome) and other gut disorders? Have you ever take some time and ponder that it might be the food you are eating that are having this negative impact on your body? If you have done all this check and still need some more answers, read on as I introduce you to the health benefits of ketogenic diets. Most of the diets we have today, incorporates refined foods that are high in sugars, salt, and trans-saturated fats. These components can be detrimental your health and they are the most common culprits of heart disease, obesity, and hormonal disorders. There have been an increase in cases of obesity in present times, with large percentage of the western population being classified as overweight or obese. Reducing this statistics require a proper knowledge and understanding of the effects of diet on the body and the changes we can make to turn our diets from rubbish into something meaningful. The modified ketogenic diet came up in the late nineties, as a re-work of the original ketogenic diet. 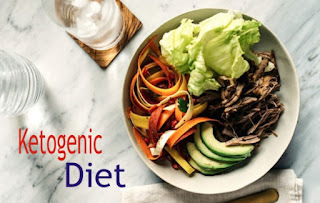 The original ketogenic diet was inspired by the Atkins diet of the early to mid 90s, which made the practitioners to eliminate any form of carbohydrates from the foods they consume. This set of people rely only on fat and protein as their source of nutrient. At first, the concept was quite unimaginable as modern nutritional science was led to believe that our body's metabolism relied on gluconeogenesis to create ATP as energy for the body metabolic process. Glycogen is a product of dietary carbohydrate intake, so by eliminating it from the diet, nutritionist expect a devastating health to those practitioners of the diet. Remove carbohydrates from your diet and kill the inflammation that is associated with gastronomical disorders such as IBS, or lactose intolerance. 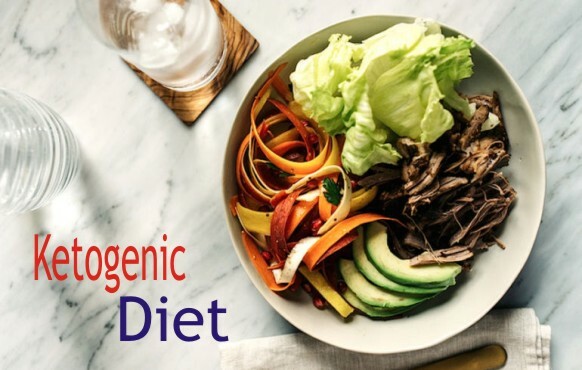 The ketogenic diet improves your digestion ad assimilation of nutrients by your gut biomes and experience increased energy levels and strengthened immune system response. Ketogenic diet drops your cholesterol count and improves the ratio of HDL (good cholesterol) to LDL (bad cholesterol). It makes you lose adipose fat fast as ketones mobilize fat cells for metabolic fuel. Consuming less sugar and carbohydrates means that you hardly experience a spike in your insulin production. This fact improves insulin sensitivity and helps diabetic patients to manage their disease and in some cases, lead to a complete reverse of the disorder. Having less inflammation and better assimilation can result to improved blood flow to the brain. This will enable you to have clearer thoughts and better decision making abilities. Implementing the ketogenic diet in your daily living can completely change your body's physique, and your thoughts about the impact of the food you eat. You can simply give it a try for about 60 to 90 days then evaluate your outcomes. You can as well conduct a further study to learn more about the ketogenic diet. Kindly use the buttons below to share this post with your friends on various social media. Then how was the experience like, Renata Feyen?